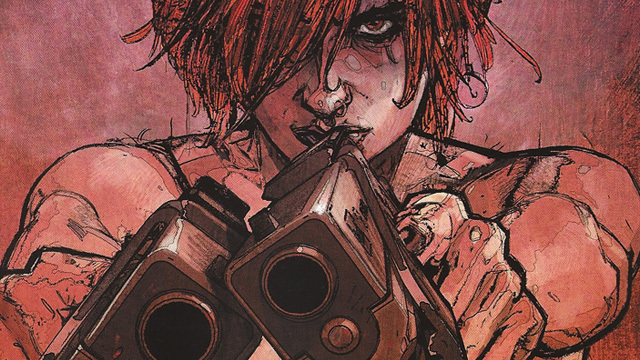 Brian Michael Bendis’ Scarlet Series Heads to HBO! Brian Michael Bendis and Alex Maleev‘s Icon Comics series is heading to the small screen as Bendis himself revealed today that a Scarlet series is in the works at HBO. RELATED: Netflix Announces Premiere Dates for 11 Series, Jessica Jones Renewed! Whether or not you’re familiar with his name, it’s a pretty safe bet that you’re familiar with Bendis’ work. Following his Marvel Comics debut on the critically-acclaimed Ultimate Spider-Man in 2000, Bendis went on to become one of the preeminent voices in sequential art, co-creating books like Alias (adapted by Netflix and Marvel Studios as the hit series Jessica Jones) and Powers (the small screen adaption of which is currently in its second season as a PlayStation original series). He’s also the creator of the Miles Morales Spider-Man, who is rumored to appear in Phil Lord and Chris Miller’s 2018 animated Spider-Man feature film. A “real-world” crime comic in the vein of ‘Jinx’. Scarlet centers on a woman who is pushed to the edge by the fractured modern world, but fights back, starting a revolution in the process. A new storytelling approach in which the fourth wall won’t just be broken — it’ll be smashed. It is noted that plans for the Scarlet series are still nascent, but check back for updates as they become available. Are you interested in an HBO Scarlet series? Who would you like to see cast as the book’s gun-toting protagonist? Let us know your thoughts in the comments below!